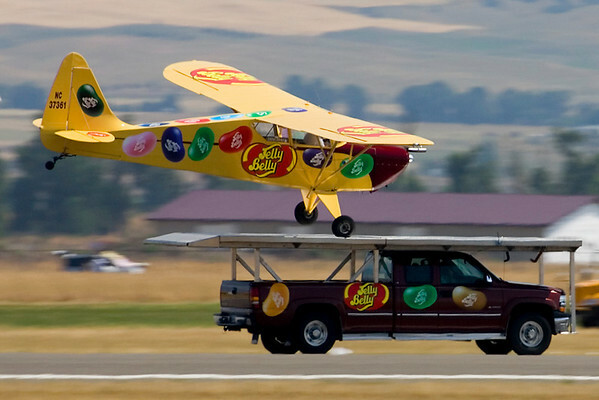 Kent Pietsch, now sponsored by Jelly Belly Jelly Beans, performed with his beautiful Interstate Cadet. What I consider his trademark, and probably best known act, is landing his Cadet on a pick-up truck. .